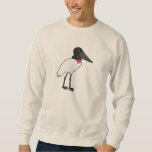 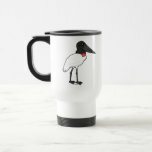 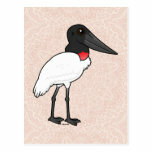 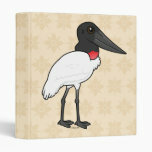 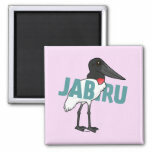 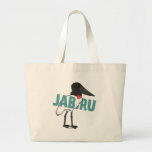 The Jabiru is a large species of stork found in wetland habitats in parts of Central and South America. 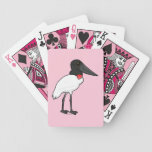 It is the tallest flying bird throughout its range. 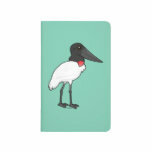 Besides its large size, the Jabiru can be recognized by its all white body plumage, its featherless black head and neck, and the red pouch at the base of the neck. 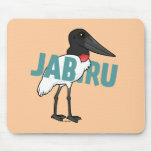 Jabirus are carnivores, feeding on a wide variety of prey items, including fish and amphibians foraged in shallow water. 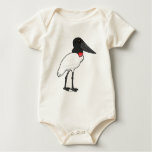 They will also take bird eggs, fresh carrion, and small mammals.